The Sanremo Red Prawn towards the IGP (geographical protected area). 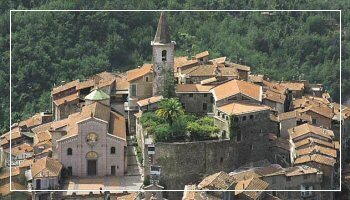 August will be an eventful month for the city of Ventimiglia which introduces the “Medieval August” full of events and reviews. From August 7th to the 15th the awaited theatre season of Apricale is back with “And the stars just wait and see…” with the 23rd edition under the title “The Seven Sins Castle”. The City of Flowers on mid-august Eve will host its usual magnificent fireworks show, accompanied by music and loads of fun! On Sunday, August 21st there will be Strigora in the village of Triora and from August 19th to the 28th the MOAC craftsmanship show exhibition will take place in the flower market of Valle Armea.